Do you know how you can use the Maslow Theory of Motivation to make your projects successful? As a Project Manager, you understand the importance of team motivation and the impact it has on project results. Using Abraham Maslow's theory, we'll look at how needs direct human behavior and identify some techniques based on the theory that you can use in your projects. Abraham Maslow (1908 - 1970) was a psychology professor who founded the Humanistic Psychology discipline. In 1943 he published a paper called "A Theory of Human Motivation" in which he first presented his hierarchy of needs theory. Physiological Needs are the basic elements the human body needs to survive. These are food, water, and sleep. Safety Needs are the items a person needs to feel safe from physical or economic harm. Social Needs include the desire to give and receive affection and to be part of a group. Esteem Needs have to do with the recognition received from others as well as with self-esteem. Self-Actualization Needs are the desires an individual has for self-fulfillment and developing to their full potential. 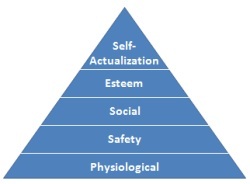 According to Maslow's theory, the needs form a hierarchy. If the lower level needs haven't been met, a person will try to satisfy those needs before trying to satisfy higher level needs. Once the lower level needs have been satisfied, a person will then focus their behavior on the needs of the next level. This can be visualized using the Maslow Pyramid diagram. The lower foundation levels of the pyramid need to be satisfied before a person will consider higher level needs important enough to do something about. Now that you are aware of the theory, the way to apply it is to try to have the members of your team working at the highest level. Knowing your team members as individuals and working to understand their specific needs will help you identify what actions are needed on your part to keep them motivated. When building your team, try to make sure that lower level needs are met. When you encounter a motivational issue, try to find out if there are lower level needs that are not being met, and take steps to meet them if possible. Provide input for employee salaries and bonuses. Ensure the correct tools for the job are available. Create an environment where individuals are comfortable challenging requests that are dangerous. Schedule weekly project team meetings. Get the team together to celebrate project milestones. Recognize team members for excellent contributions to the project. Ensure each team member understands how important they are to the project. Take into account each team members professional goals when assigning tasks. Empower team members so that they can develop and grow. A person's behavior can focus on more than one need. For example, one of your team members may be actively seeking promotion because it will lead to a higher salary (physiological need). But the promotion can also satisfy esteem and self-actualization needs. Even though the needs are described as hierarchical, application of the theory isn't as rigid. The Maslow Theory of Motivation is a great tool for Project Managers to understand and use. It can help you keep your team motivated as well as correct motivational issues. Employee motivation in the workplace has a strong influence on project results. 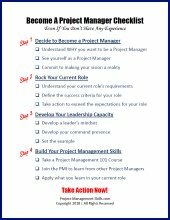 Learn about two key aspects that highlight the importance of motivation in project management. Learn which employee motivation techniques and strategies can help you motivate your team effectively in a project environment. Eliminate the 3 key factors that most often decrease team motivation.